Solid reinforced concrete construction- a lifetime investment! Supplied fitted out, ready for connection by licensed plumber. Options of complete bathroom with shower. 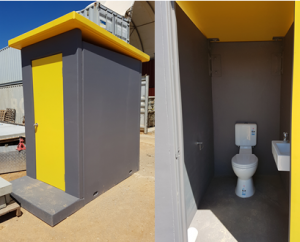 Modular Multiple toilet blocks as per requirements.